We’ve partnered with Crisp to bring you these tasty, healthy and delicious meals that we love, and just know you’ll love ’em too. 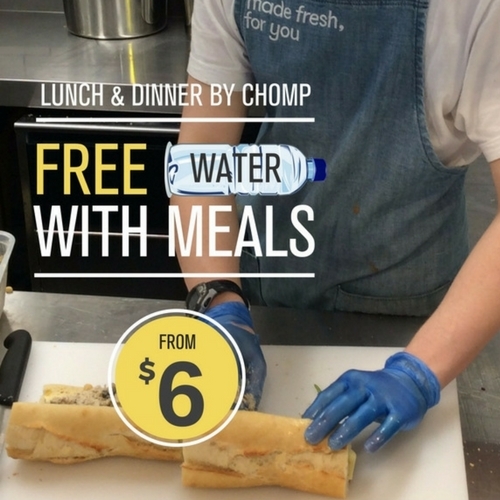 Terms: Purchase any Chomp branded meal from Fresh Pantry until 16th of October 2016 and receive one free 600ml bottle of water labelled “Fresh Pantry”. One water will be given per customer per transaction per day. Fresh Pantry reserves the right to substitute the water provided and the offer is while stocks last. The selected water will be discounted at the point of sale upon the scanning of the Chomp product and the specified “Fresh Pantry” water. We’ve partnered with DC Coffee, a local VIC roaster to serve exceptional espresso and brewed coffee by our trained brewers. 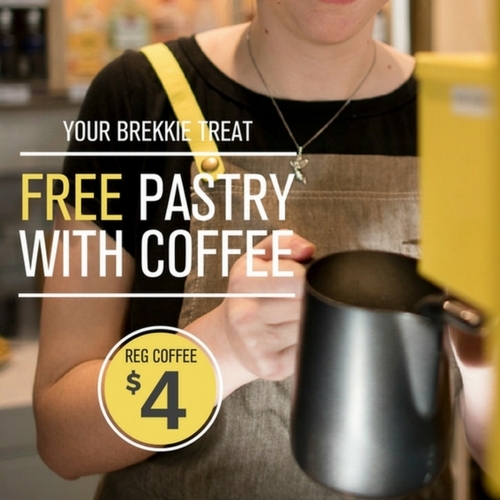 Terms: Purchase any regular $4.00 coffee at Fresh Pantry until 16th of October 2016 and receive one selected free pastry. Pastries available as part of the promotion will be listed in store each day and will be subject to availability and while stocks last. Fresh Pantry reserves the right to substitute available pastries and limit supply. The pastry will be discounted upon the payment of the regular coffee at the point of sale. Located on Spencer Street; we offer fresh groceries, an in-store barista, bottle shop, freshly made meals including salads, soups and healthier options - we are the one-stop shop for all your busy life needs.